We export beef and lamb from Australia and New Zealand. Our dairy products and honey are from New Zealand. Bees Inn has been producing honey for over 50 years.we have Manuka honey and 5 other types of honey.Most is packed in retail packs . Our farm in the pristine setting of south-western part of the Czech Republic produces superior quality honey for sale. 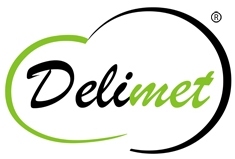 DELIMET FOODS, S.L. is a company focused on the manufacture and export natural products in general, specially delicatessen and gourmet products.